The Men's Bugaboot® Max Electric boots by Columbia Sportswear represent their most advanced, technical offering for cold weather boots. Technologies include: battery-powered heat on demand, Omni-Heat® thermal reflective lining, Techlite® heel shell, TPU shank for cushioning and support, waterproof uppers, and Omni-Grip® sole. The on demand battery heat has three settings: low, which operates up to 4 hours at approximately 113°F, medium, which operates up to 3 hours at approximately 122°F, and high, which operates for up to 2 hours at approximately 140°F. The Columbia Bugaboot® Max Electric boots are perfect for snowmobiling, serious trekking, and cold weather work environments. The Columbia Men's Bugaboot® Max Electric boots have motocross styling and appear best-matched to snowmobiling adventures. The fit is true to size (length wise), but I find them a bit too roomy for my skinny ankles. I am not able to completely tighten them around the top hook-and-loop closure strap, so they are a little sloppy. I don't foresee this as an issue when snowmobiling as I like my boots a little loose. For hiking or snowshoeing this could be an issue. The laces are slippery, so it is tricky to get them tight. Columbia has incorporated open lace hooks on the last pair, which allow the laces to sometimes pop out during lacing. It's not a big deal, but I would prefer to see a pair of locking lace hooks on these boots to hold the slippery laces in place for tying (similar to those found on most mountaineering boots). 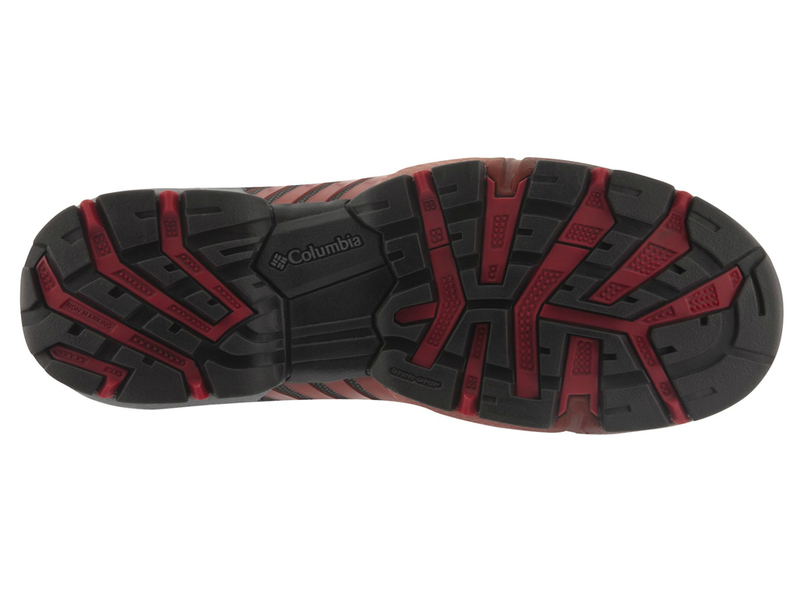 The Bugaboot® Max Electric boots have Omni-Tech printed on the outside (in the rear above the heel), but Columbia's website doesn't mention anything about it. 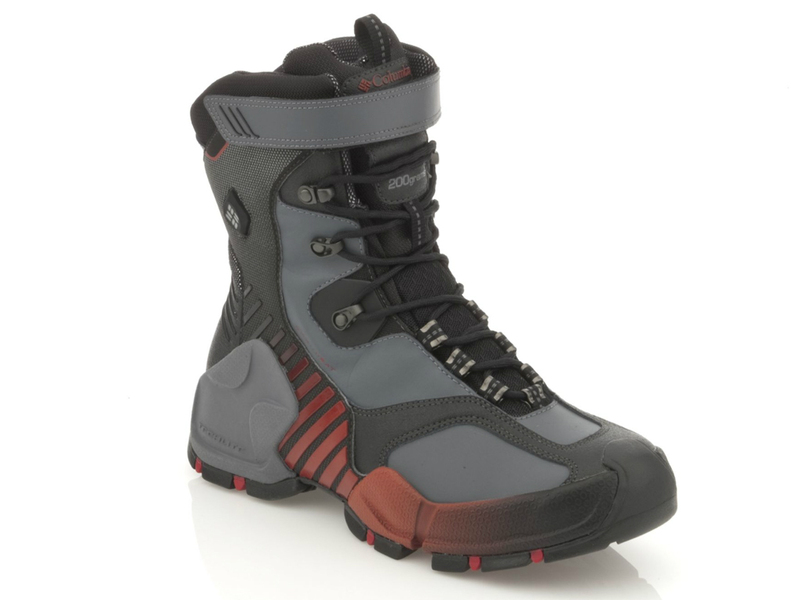 Omni-Tech® is a waterproof breathable membrane technology, so it's a nice feature to have on boots. The Bugaboot® Max Electric boots feel comfortable on my feet and warm up very quickly without the assistance of the battery powered heat (probably due to the Omni-Heat® thermal reflective lining). 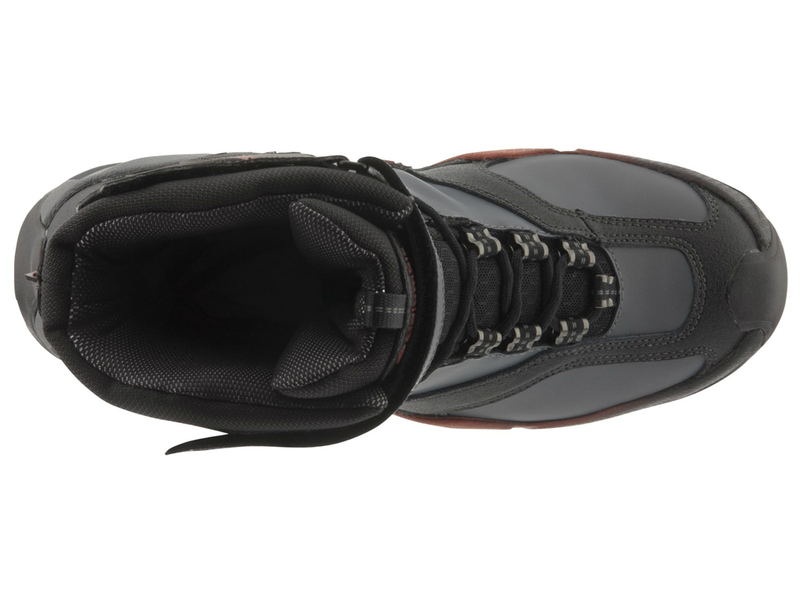 The on-demand battery heat is activated by pushing down on a button located on the outside of each boot. The button lights up to indicate it is on and the selected heat setting. Pushing the button again after turning it on cycles through the three heat settings. Heat can be felt almost instantly after turning them on. I can see this as being a very beneficial feature for my previously frostbitten toes. 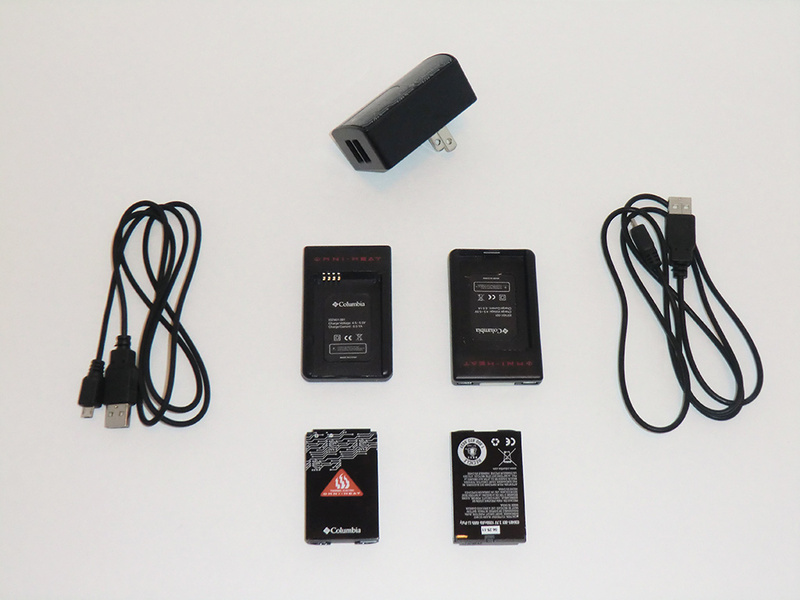 The batteries look like common cell phone batteries and can be charged inside or outside the boots with the included wall charger. They can also be plugged into standard USB ports on a computer. The button on the boots blink red when they are charging and change to steady red when charging is complete. Charging only takes an hour or two depending on how discharged the batteries are. My first adventure using the Columbia Bugaboot® Max Electric boots was on a snowmobiling and overnight snowshoeing trip. For the snowmobiling portion, the boots excelled. They were comfortable and supportive. The temperature was just above freezing and I did not need to use the battery heat. The boots stayed dry even though the snow was very wet and it was raining at times. There was, however, some moisture inside the boots from my sweating feet (this is common in all boots I wear). I became dehydrated and hungry by the end of the trip, so my toes became cold as a result. I found it easy to turn on the battery heat and my toes instantly began to heat up. After about 10 minutes, they were comfortably warm and I had to turn the power level down to low. The second part of my initial test was snowshoeing about 3.5 miles uphill with a 36 pound pack. The Bugaboot® Max Electric boots fit great in my snowshoes and provided plenty of support for my pack. The temperature was in the upper 20s F and the snow was deep. I ended up breaking trail the second half of the trip and the boots felt great. The only issue I had was with heel slip. Since the boots don't tighten enough for me around my ankles, the fit was a little sloppy. For the distance of 3.5 miles, this didn't cause me any issues, but longer trips might wear the skin on my heel or cause a blister. I didn't need to use the battery heat on this part of the trip, as I was moving the whole time. After stopping for the night in a fire lookout, I did use the battery heat the next morning. It was very nice to be able to put my cold feet into toasty warm boots. 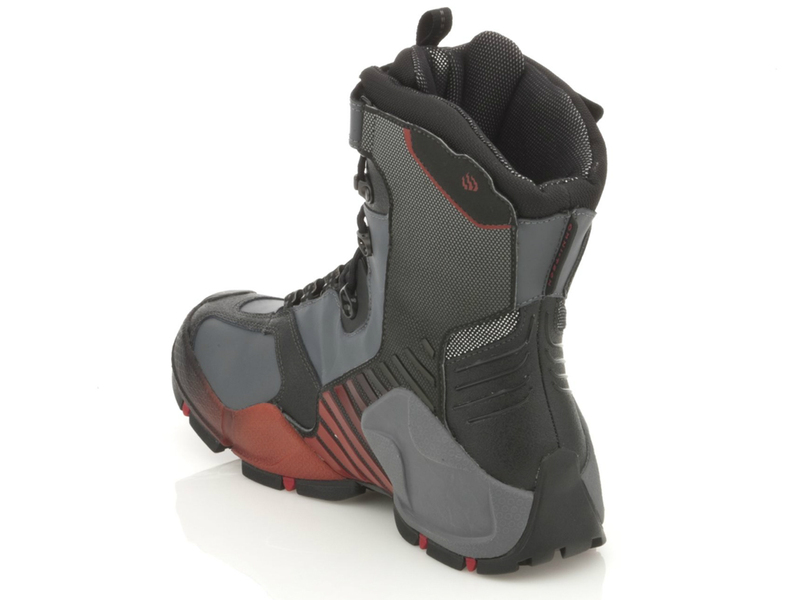 I definitely like the Columbia Bugaboot® Max Electric boots for snowmobiling. They are perfect for that activity. I also find them adequate for light snowshoeing, but I prefer a stiffer, tighter fitting boot for longer treks. The battery heat is definitely a great feature in these boots. I can see them being very good when the temperature dips well below freezing. I would love to see inexpensive spare batteries for sale, as 2 hours on high is not very long if the boots are being used on an all day or multi-day adventure. See Clear Lake Lookout adventure where the Columbia Bugaboot Max Electric Boots were used. Special thanks to Columbia Sportswear for providing the Bugaboot Max Electric Boots for review.